We've been doing exterior house painting in Mesa, Arizona for over a decade and we will make sure we give your home that new paint WOW factor. IT increase the value of your home and have a huge impact to your home's presence. See the seven steps below. 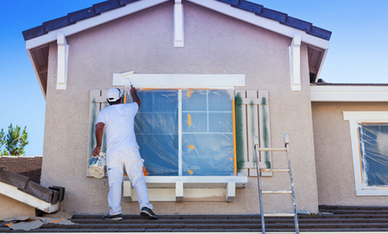 Isn't it amazing what a fresh coat of paint can do to your home or business? The improved resale value of the home alone can make the exterior painting project worth the investment. In addition, the curb appeal will have you feeling a sense of pride again, much like when you first moved in. Give us a call and we will first sit down with you to understand exactly what you want to accomplish. We will give you an instant free quote and then schedule a time to get started. We want to be known as the best painters in Mesa and would like to add your home to our portfolio of success stories. 1. We recommend a good pressure washing to clean the exterior of your home or office before painting. Exterior House Painters You Can Trust! A home's exterior paint job tells a story. What is yours saying? We know that you care about your home and have probably invested thousands of dollars into making it exactly what you’ve always wanted. An exterior facelift can be the completion of what you’ve been working towards for years! It’s one thing to feel solitude within your home (and that is very important) but exterior house painting can also bring a sense of pride to not just your home, but the community as well. 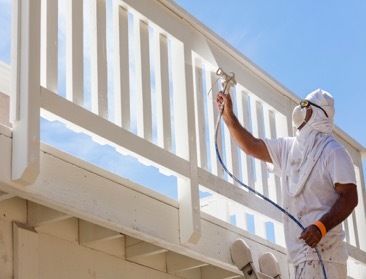 Mesa Painting Pros has been doing exterior house painting in Mesa, AZ for over a decade so needless to say we have enhanced our share of homes! Client satisfaction is our primary goal and we’d like to continue moving forward with your home! Knowing that a home is one of the biggest investments most people will make in their lifetime, we pride ourselves in treating it as if it's just as important to us, as it is to you. With an array of colors, environmentally friendly paint choices, a finish you would love , and an experienced crew of painting pro’s, you simply can't go wrong with us!